A certified holistic health coach, Nicole Trombley has been helping individuals make personal transformations for the past twelve years. Her company, Pillar Wellness, designs and implements holistic wellness programs for individuals, groups and companies. She believes that wellness is an inside job and requires self awareness, the right mind set and a comprehensive mind-body approach. She helps individuals identify the underlying patterns that cause blockages or obstacles to a person’s journey toward health and happiness. Working specifically with the subconscious mind to achieve healing and progress, Nicole works primarily with cancer patients and others with chronic conditions to activate the body’s innate ability to heal. She also specializes in self sabotage and anxiety. She uses numerous holistic approaches such as coaching, Energy Medicine, Reiki, Energy Psychology and other mind-body modalities. She has worked with cancer patients at the Wellness and Integrative Oncology Program at Hillman Cancer Center since its inception in 2013. Currently, her role in the IOP is as a health coach and concierge who works one-one one with patients to create wellness plans to implement healthy lifestyle changes. In February 2016, she created the monthly Wellness Circle for patients in the WIOP to help them continue their momentum and progress. Nicole graduated from Syracuse University where she studied psychology, nutrition, neuroscience and public relations. 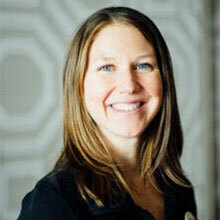 She is a Certified Health Coach and Behavior Change Specialist. She is a Level 2 Reiki practitioner and a Level 1 Energy Psychology practitioner. She lives in Pittsburgh with her husband and two children. She enjoys running. yoga, cooking, gardening, and playing outside as much as possible. Please read more here about FREE events and workshops she is offering in January at Green Heiress. Contact her at NicoleTrombley@pillarwellness.com for a free 30-minute Discovery Session.